BRYAN EATON/Staff photo. 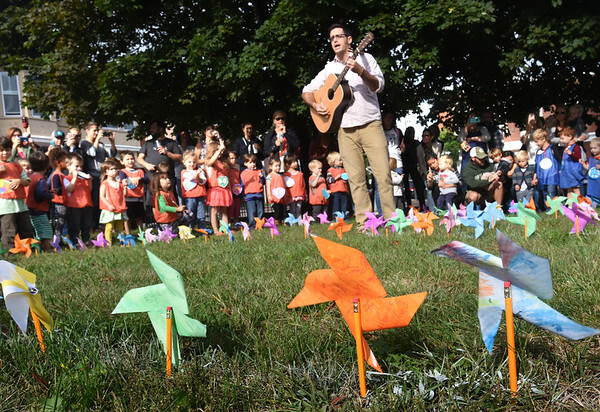 Newburyport Montessori School music teacher Neil Ferreira leads youngters in the song "Light a Candle For Peace" Thursday morning outside the Unitarian Church. They were participating in the International Day of Peace in conjunction with Montessori schools from across the globe with that song starting on the shores of New Zealand and travelling from country to country, continent to continent and time zone to time zone until it reached the Hawaiian Islands 24 hours later.